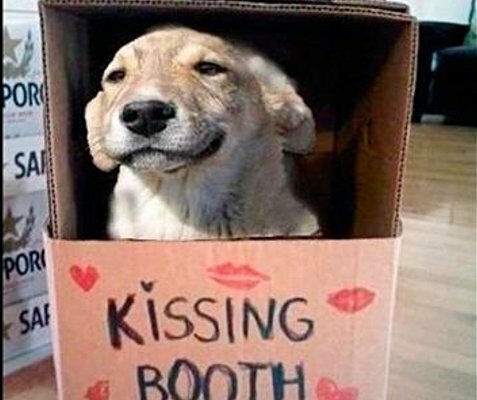 I came across this doggy kissing booth picture and was instantly smitten. 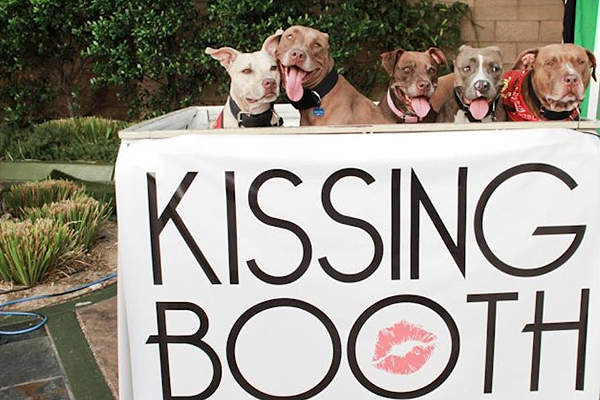 Many charities have done this at pet adoption and fundraising events and I think it's such a great idea. 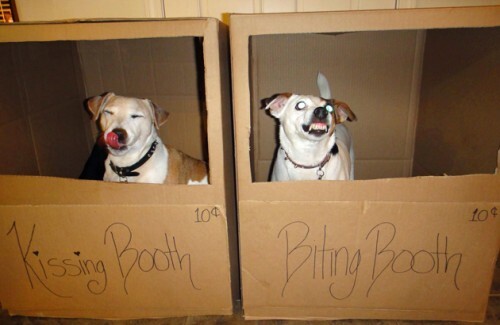 After closely inspecting the 1st photo, I've come to the conclusion that the dog was photoshopped into the picture. 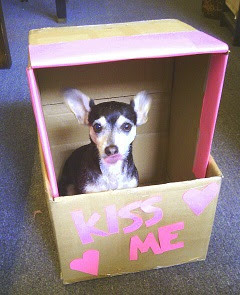 However, it's too cute not to post! 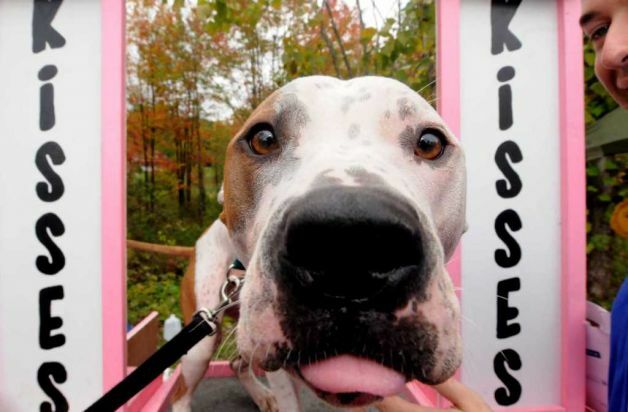 I hope to see more doggy kissing booths in the future and will be on the look out. Sharing a few of my favorites with you!